While dental school does an excellent job of preparing students for practicing dentistry, it doesn’t always provide the necessary skills for starting a private practice. From hiring and training a team to managing finances and inventory, there’s a lot to learn. Those who have the ambition to start a private practice enjoy the freedom and flexibility of creating their own schedule—and their future. However, many dentists don’t know where to begin. That is why we at Patterson Dental created D5, a new program for dental students and recent graduates seeking tips and resources on private practice management. D5 is a place where you can connect with dental professionals and receive advice on the benefits and feasibility of starting your own private practice. Dr. David Rice, practicing dentist and founder of igniteDDS, helped shape the D5 program. Dr. Rice currently works to educate dental students about transitioning into private practice, and his company shares that common goal with D5. Our goal is simple: to continue your education with guidance and resources to help you start your private practice. 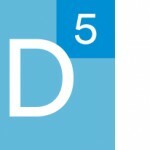 What would you like to learn from the D5 program?